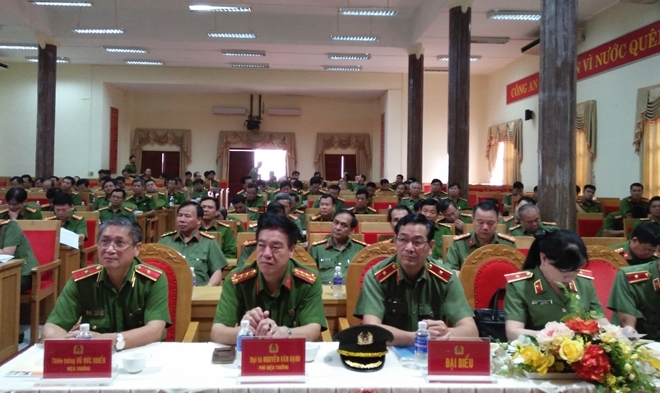 PSNews – The 2nd training course on public security regulations, shooting and martial art for 140 department-level leaders of the public security units in southern provinces opened in Ho Chi Minh City on November 5. Major General Dao Gia Bao speaks at the event. The event was co-held by the Department of Party and Political Work and People’s Police College 2. 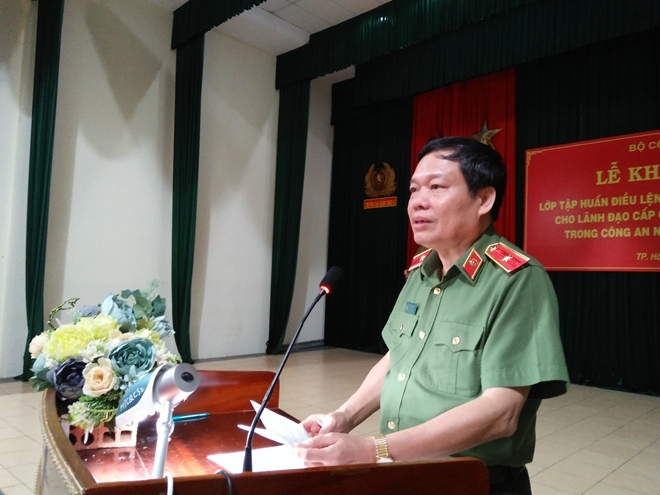 Speaking at the opening ceremony, Major General Dao Gia Bao, Director of the Department of Party and Political Work, Vice Head of the Organizing Board of the training course, asked all participants to grasp thoroughly all requirements of the course to ensure quality and effectiveness of the training. An overview of the opening ceremony. On this occasion, he urged leadership of all agencies and units to pay due attention to direct their subordinates to regularly drill in public security regulations and martial art in line with the rules set by the Ministry of Public Security (MPS) as well as with the conditions and tasks of each unit. During the 2-day course (November 5 and 6), the trainees were briefed on new related circulars and trained in line-up regulation and other public security regulations.